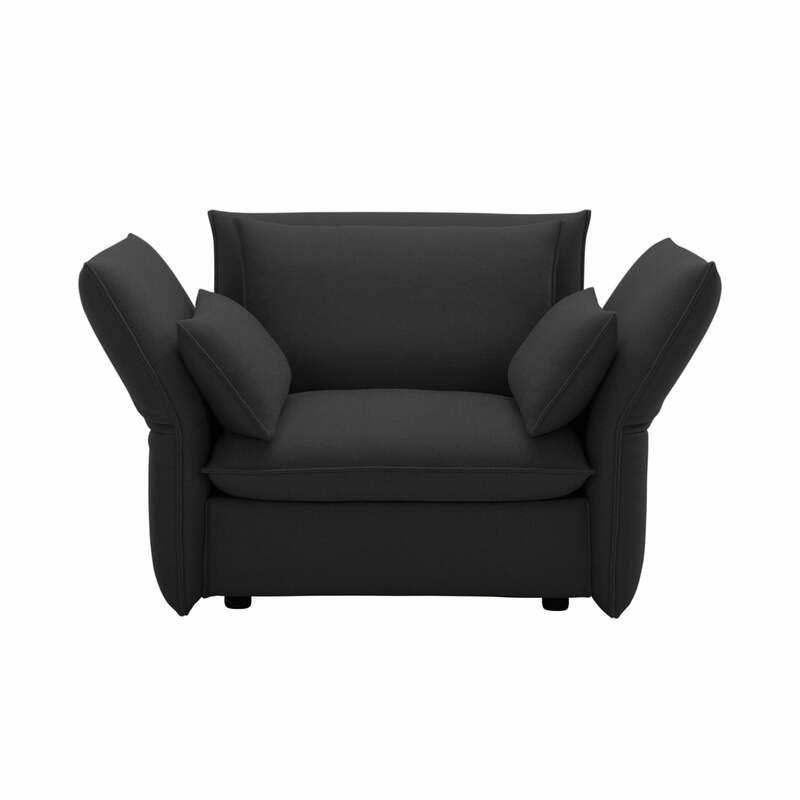 The LoveSeat is a large chair for one person or a cosy place for a couple (in love) - as the chair’s name indicates. But whether alone or with a partner, the Vitra armchair from the eponymous collection offers maximum comfort for reading and relaxing. The special feature of the Mariposa upholstered furniture is the flexible adjustment mechanism, which can be used for adjusting the backrest of the furniture up to 30 degrees. Thus, the chair can adopt different positions. Depending on whether you would like to lean back relaxed or you need stable backing when reading. This flexibility allows anyone to find the position most comfortable for him or her. 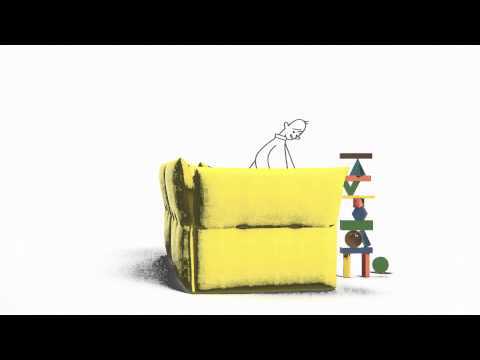 The Mariposa Collection by Vitra comprises a set of upholstered furniture, with a 2, 2.5 or 3-seater, a chair and Ottoman,it can accommodate the whole family. The sofa can be individually set up with a number of different fabrics and colours. 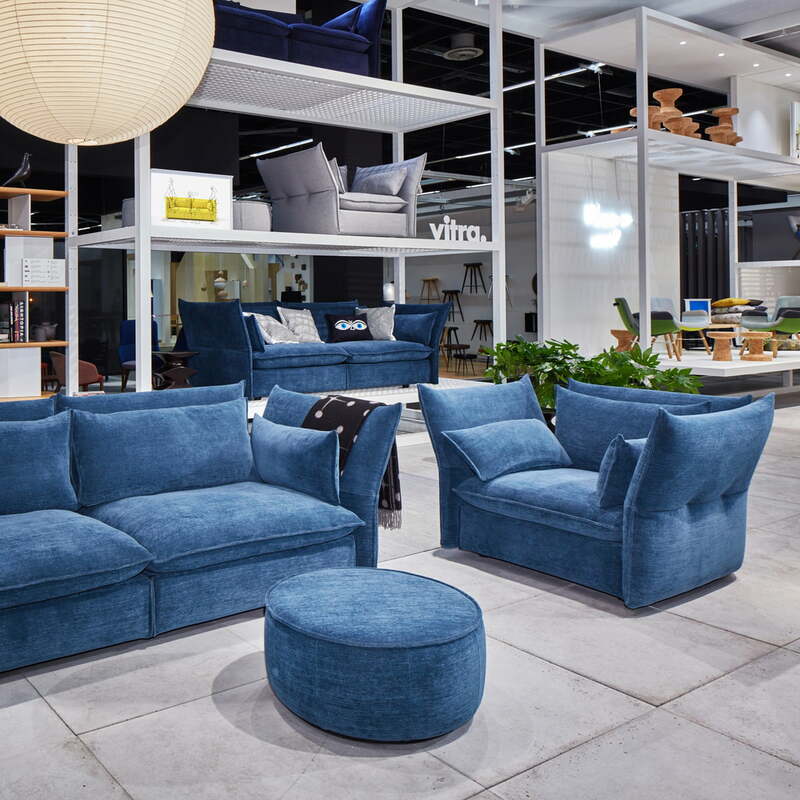 Mariposa Collection by Vitra: The sofas from the Mariposa series are compact, yet generous 2 to 3-seaters suitable for both a small city apartment and for a family home. Group picture of the Mariposa upholstery collection from different angles with the fabric Laser in dark grey. 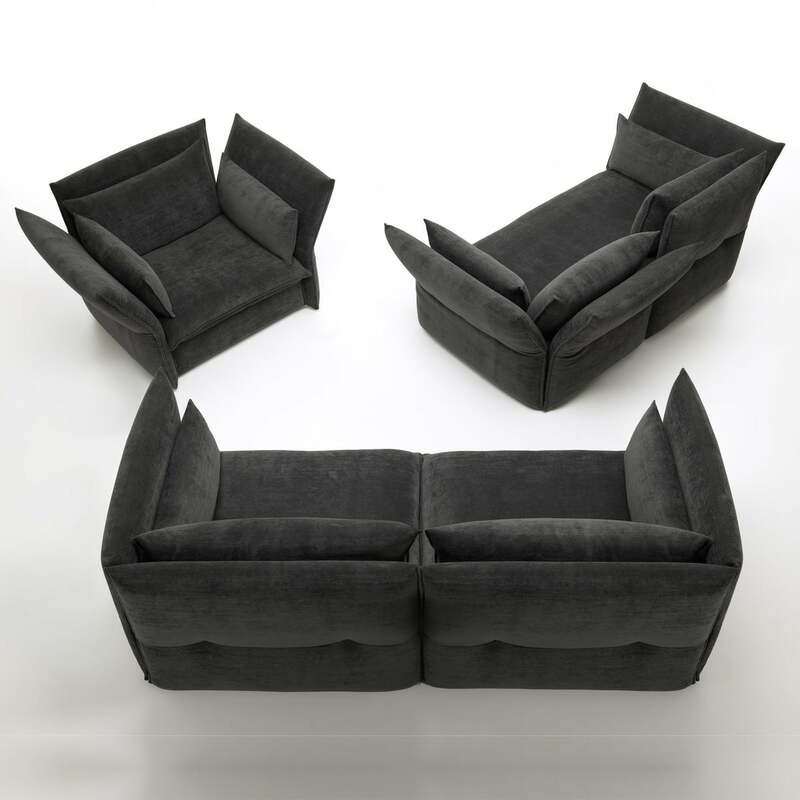 Comfortable and flexible furniture: Love Seat, 2 seater, 2.5 seater and a generous 3 seater complete the upholstered collection by E. Barber &amp; J. Osgerby. 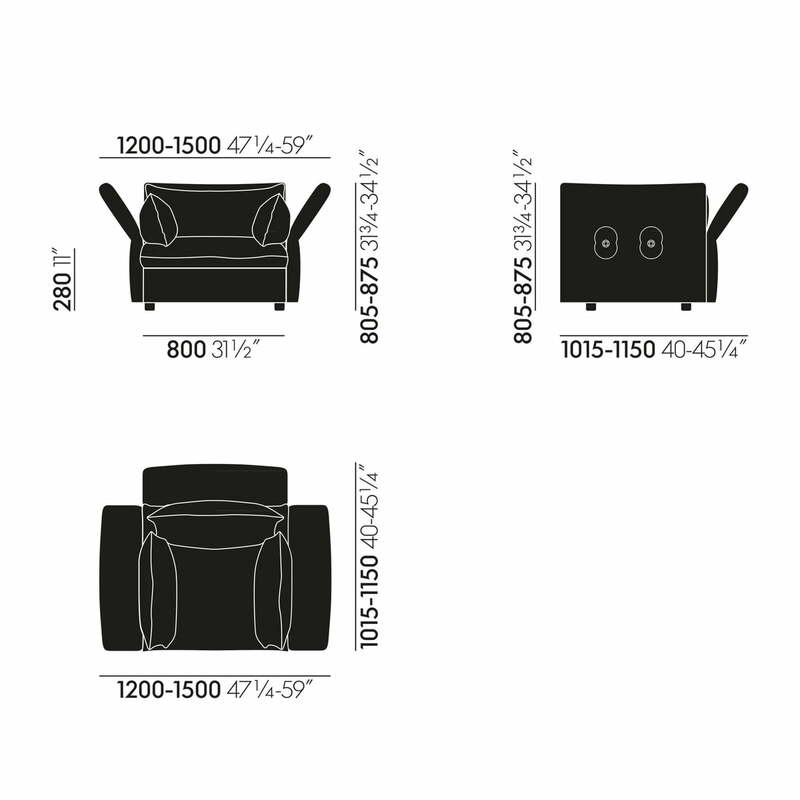 Among the different Sofa variants of the Mariposa collection from Vitra, the matching Ottoman is now available in different sizes. It not only fits in with the soft contours of the sofa, but also creates more options for comfortable sitting.